Takeaway: Choosing the right protective gear comes down to what kind of chemical hazard you're facing. Chemical protective clothing is critical to ensuring the safety of workers who need to handle or might come in contact with hazardous materials. Selecting the right apparel, however, is not always a simple matter. 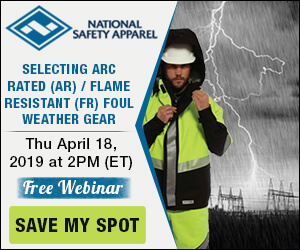 With so many different hazards, material types, and clothing designs, it can be difficult to sort through all the options and find the one that's best suited for your workers. In this article, we'll go over what you need to know before selecting the chemical protective clothing for your employees. OSHA's Technical Manual, Section VIII, Chapter 1 defines chemical protective clothing as equipment that " shield or isolate individuals from the chemical, physical, and biological hazards that may be encountered during hazardous materials operations." In simpler words, chemical protective clothing includes any and all clothing elements we use to prevent our body from coming into contact with materials that have the potential to harm us through single or repeated exposure. In many cases, exposure to chemicals can produce severe adverse health and safety effects and, as employers, we have to make sure our employees are protected from this type of exposure by providing adequate forms of hazard control (learn about The Hierarchy of Hazard Controls). Engineering controls are always preferable, but as this is not always possible nor is it always sufficient. Most of the time, protecting workers will require outfitting them with adequate chemical-resistant PPE. Different chemical protective clothing materials and designs are suited for protection against specific hazardous substances. Since each type of material provides resistance against only certain types of chemical agents and not others, it's possible that your workers will require various types of chemical-resistant gear. When Do You Need Chemical Protective Clothing? Occasional contact or splash protection? Sometimes, it can be difficult to know what chemical protective equipment is made of. Since the protective clothing market has become so competitive and features so many players, materials have become trade secrets and trademarks make it hard for the end user to properly evaluate and compare materials. To choose the proper material, read the manufacturer's chemical resistance guide. It often will provide better insight than the Safety Data Sheet. That's because section 8 of the SDS is not brand-specific and usually specifies a generic material, such as nitrile. Many products are described by a trademarked name, which makes no reference to the generic material indicated in the SDS, despite the fact they are functionally similar. Butyl –A synthetic rubber material that offers the highest permeation resistance to gas and water vapors. Especially suited for use with esters and ketones. Neoprene – A synthetic rubber material that provides excellent tensile strength and heat resistance. Neoprene is compatible with some acids and caustics. It offers moderate abrasion resistance. Nitrile – A synthetic rubber material that offers chemical and abrasion resistance. It serves as a very good general-duty material for chemical protective equipment. Nitrile also provides protection from oils, greases, petroleum products, and some acids and caustics. PVC (Polyvinyl Chloride) – A synthetic thermoplastic polymer that provides excellent resistance to most acids, fats, and petroleum hydrocarbons. Good abrasion resistance. PVA (Polyvinyl Alcohol) – A water-soluble synthetic material that is highly impermeable to gases. Excellent chemical resistance to aromatic and chlorinated solvents. This material cannot be used in water or water-based solutions. Viton – A fluoroelastomer material that provides exceptional chemical resistance to chlorinated and aromatic solvents. Viton is very flexible but has minimal resistance to cuts and abrasions. SilverShield – A lightweight, flexible laminated material that resists permeation from a wide range of toxic and hazardous chemicals. It offers the highest level of overall chemical resistance but has virtually no cut resistance. Once you have chosen the proper material for the chemicals you will be working with, it's important to understand that no material provides complete protection. The material's chemical resistance, moreover, will decrease over time due to physical and chemical processes. Understanding what kind of protection your chemical-resistant clothing provides means understanding a few key concepts. Permeation is the chemical process through which the chemical dissolves in or moves through the garment's material at the molecular level. Generally, since the substance migrates through pores and spaces between molecules, there is no visible evidence that the chemical has passed through the material. The period of time it takes for the chemical to permeate the material is known as the breakthrough time, and this is used to determine the expected life of the equipment. The breakthrough time indicated by the manufacturer should only be used as a rough guide, however, since changes in temperature and pressure can shorten it. Tight gloves have bigger intramolecular spaces and, as a result, can be permeated more quickly. Penetraton is the physical process of a chemical migrating through zippers, seams, or imperfections in the chemically protective garment. Penetration increases as the material ages and is a limiting factor of the PPE's service life. Degradation refers to changes in the material's properties due to use or exposure to chemicals or ambient conditions. It is directly correlated with use. Permeation, penetration, and degradation depend on the properties and thickness of the material, as well as its degree of exposure to environmental factors. When the material has been permeated, penetrated, or degraded, it should be removed from service. It's important to note, however, that permeation is not always visible. Because of this, you should use the manufacturer's breakthrough time as a guideline (corrected according to the frequency of use and environmental factors) even if the clothing appears looks fine. As a simpler rule of thumb, the lighter and more inexpensive the chemical protective equipment is, the shorter its service life. More rugged (and expensive) protective equipment has a longer service life and may be a worthwhile investment, as long as the decontamination procedures are not more expensive than the cost of the equipment. With this in mind, we can categorize chemical protective equipment as either being disposable (single use) or reusable. Disposable PPE will be contaminated with hazardous substances. The used PPE itself should therefore be considered a hazardous material. Because of this, it needs to be disposed of according to applicable legislation, at designated facilities, and separately from regular waste. The type and amount of chemical protective clothing you will need depends on the chemicals being used and the kinds of hazards they present. We'll go over each type to help you decide what kind of clothing is right for your workers. A fully encapsulated suit protects every area of the body, with no exception. They can be one-piece garments with built-in hood, gloves, and boots, or they can be suits with attachable boots and gloves. These suits provide protection against gases, vapors, and pervasive splashing. Because they are fully enclosed, they won't allow heat and water (or perspiration) to escape. This can produce heat stress in the wearer, so a cooling system should be provided to anyone working in a fully encapsulated suit. Gas-tight (or vapor protection) suits are a type of fully encapsulated suit used where no contact with the fluid or gas is permissible. This makes them suitable for hazardous atmospheres. NFPA 1991 and EPA Level A are relatively equivalent standards and describe the requirements for such equipment. Given the gas-tight nature of the suit, a self-contained breathing apparatus (SCBA) is required. The SCBA is worn most of the time inside the suit (see SCBA 101 to learn more). The most frequently used non-encapsulated suits combine a one-piece coverall or bib with a jacket. These garments are not air-tight, nor do they protect certain areas of the neck and face. Because of this, they shouldn't be used where gas-tight or pervasive splashing protection is required. Overheating is a concern with these garments, too. This equipment is governed by the NFPA 1992 and (when a respirator is required) the EPA's Level B standards. Gloves are some of the most frequently used chemical protective equipment. They protect the wearer when handling hazardous materials or touching contaminated surfaces and they come in a huge variety of materials, thicknesses, lengths, linings, finishings, and other features. ANSI/ISEA 105-2011 provides, among other things, instructions for selecting appropriate chemical-resistant gloves. The main characteristics for choosing a glove are similar to all chemically protective equipment: permeation, penetration, and degradation (learn more in Chemical-Resistant Glove Materials: Everything You Need to Know to Choose the Right Glove and Stay Safe). (a) General requirements. Employers shall select and require employees to use appropriate hand protection when employees' hands are exposed to hazards such as those from skin absorption of harmful substances; severe cuts or lacerations; severe abrasions; punctures; chemical burns; thermal burns; and harmful temperature extremes. Like gloves, when they are not incorporated in encapsulating suits, these garments offer a limited degree of protection, leaving other areas of the body unprotected. Because of this, they can be used only in situations where the hazards have been properly characterized and controlled, as in routine handling of chemicals. The appropriate standards are NFPA 1993 and EPA Level C (when respiratory protection is required) or Level D (when no respiratory hazards exist). Manufacturers provide storage instruction tailored to their equipment, and following these instruction should extend the life of the garments. In most cases, the user maintenance should be limited to proper decontamination and cleaning. Any repairs or alterations should be made by properly qualified personnel, such as the manufacturer, their representatives, or properly trained and certified employees. In the end, your decision will come down to the kind of job that needs to be performed and the hazards faced while performing it. But with all of this information in hand, you should be able to make a better decision and make it more quickly.